Will you be having an urgent meeting? Or perhaps you’ll need to take a weekend breather via a getaway. Either way, you don’t need to sit through traffic or take on arduous road trips just to reach your destination. By chartering for a Piper PA60 / Aerostar, you can now take on a short range flight within two hours tops. If you’re coming from Ontario, you can reach Manitoba or even fly to Florida in the US while aboard the Piper PA60 / Aerostar. Originating from the United States, the Piper Aircraft is a 6-seater plane which is considered to be among the fastest, high performing lightweight planes. Aside from its speed, this plane is also agile to operate especially if you’ll need to takeoff or land on shorter runways. Whether you’ll need to reach a meeting across the city, or take a weekend’s worth of breather, you’ll have more airport options on this plane. As you hop aboard the Piper PA60 / Aerostar, you’ll find how its seats just have enough room for passengers to enjoy their flight. It even has a compartment for your baggage, so you’ll have all you’ll need when you fly over a thousand kilometers to your destination. This short haul aircraft does not have the frills for luxurious rides. Still, it’s comfortable enough for you to enjoy the skies, landscapes and other sceneries which you’ll be flying through. Given its lightweight characteristic, the Piper PA60 / Aerostar was built with the vision to be the fastest among piston powered planes with twin engines. It’s also flexible enough to fly on shorter runways, hence it can be considered agile compared to other planes within the same category. Will you really need to maximize the speed of this aircraft due to time constraints and your itiniary’s urgencies? Then you may further clarify the baggage and weight requirements of your service, so the plane’s mechanism may further focus its efforts on speedy flights. 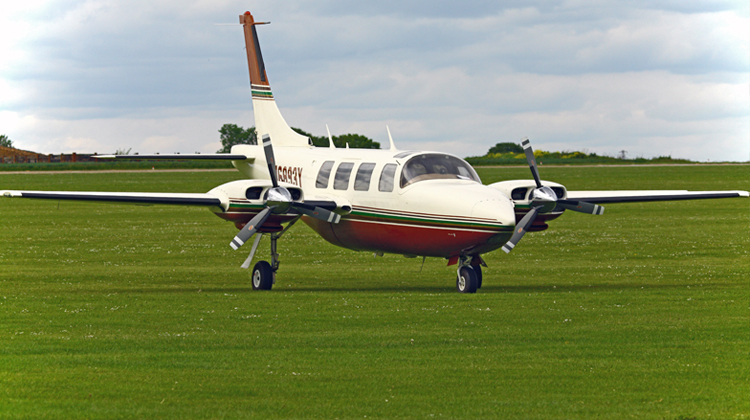 The Piper PA60 / Aerostar was originally designed by Ted Smith. It was built with the intention of producing the fastest lightweight aircraft possible, while operated on a piston based, twin engine. From its first development in the early 60s, this small prop plane has proven to be highly agile and even practical for short range trips. A few more variants were developed with this aircraft as their basis, to serve different short haul applications. It’s versatile enough for those who won’t need to take hours of road trips. 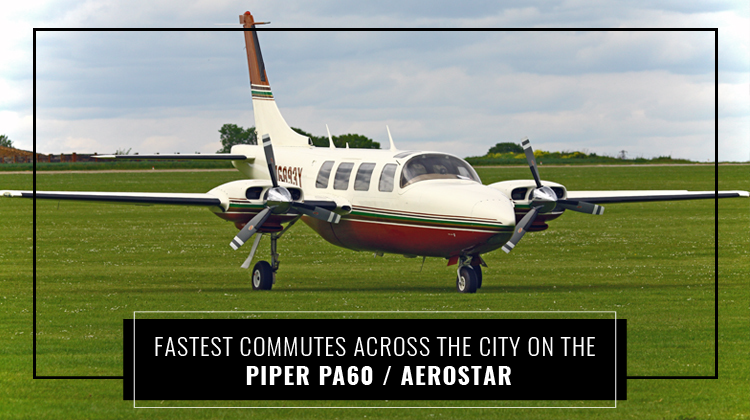 By chartering aboard the Piper PA60 / Aerostar, they can fly up to over a thousand kilometers within an hour or so.